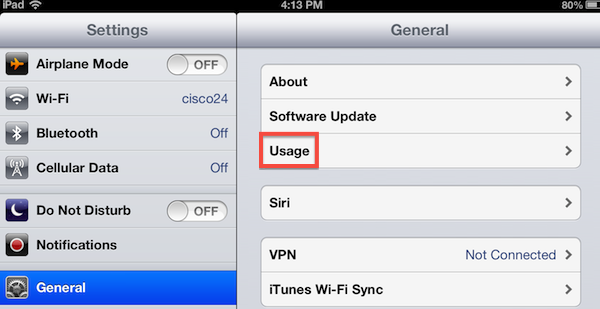 Perhaps you’ve tried to update your iPad to iOS 6 and found you didn’t have enough empty space to do the install. Or you noticed your 16 GB iPad is getting full. 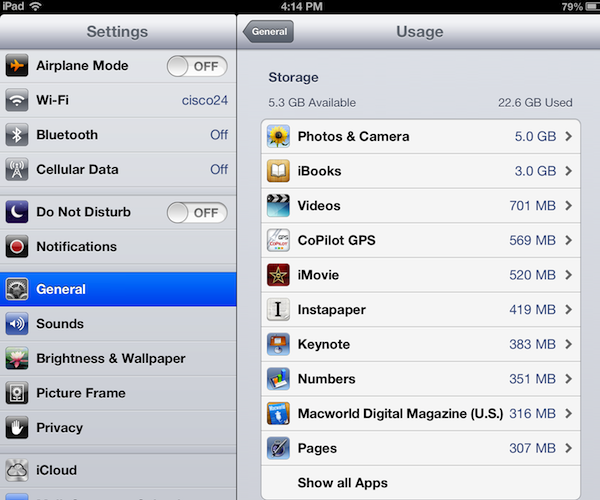 Here is how to find the content taking up the most space (memory) on your iPad. Videos (TV shows, movies, etc.) can consume a large amount of space. Tap on Videos to get more information about those items. Swipe across a video item to delete it. Tap Show all Apps to see more apps and the memory they use.